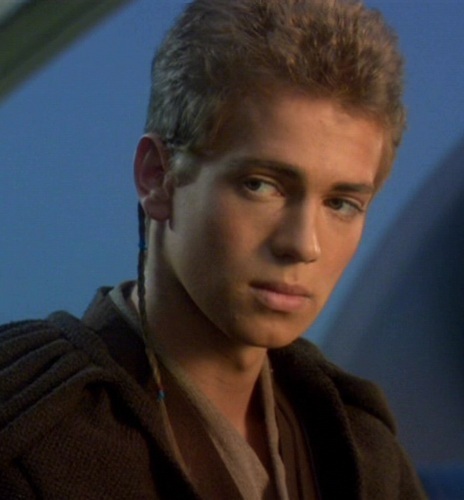 Hayden Christensen was the perfect actor to play Anakin Skywalker. He did a bang up job in episode2 with his boyish charm and excellent portrayal of the love struck anguish of padwan Anakin S. and his torturous love for not only Queen Amidala but also his mother. Then he returns larger than life as Jedi A.S. in R.O.T.S. and sends it home as only he can. In Return of the Sith my favorite part is when Anakin hits his knees in front of his new Sith master and looks up at him as if it pains him to do so. You see the desperation of Anakin to save his wife from certain death yet shame and conflict in knowing he is making an about-face from his life as a Jedi and going down a dark and sinister new road where he must betray people he loved. I enjoyed Hayden's acting very much and just rented five more movies he stars in to satisfy my curiosity..is he just as good playing other characters or was he born to be Anakin and go down in history with generations of new Star Wars fans to come? Again this is Hayden Christensen from Star Wars 2 and Return of the Sith.